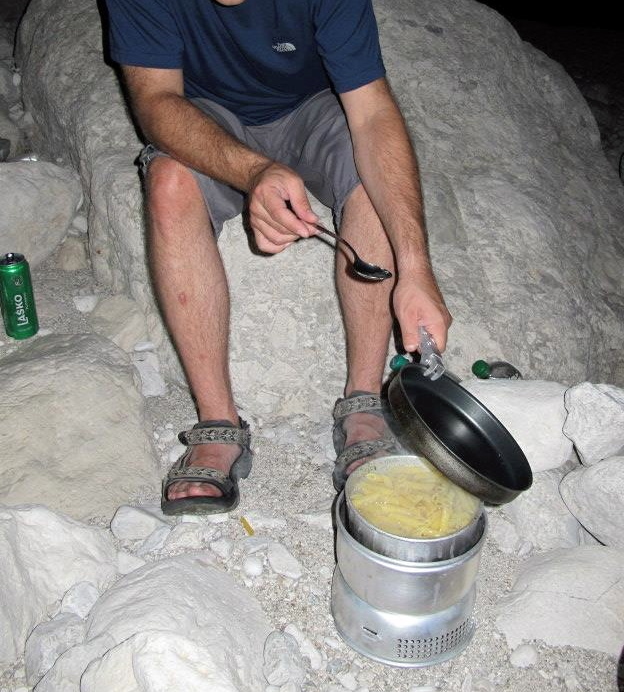 I really love my Trangia stove. I is a pretty handy tool when traveling. It may occupy some volume in your backpack, though. But if you go for the lightweighted Aluminium Version it´s weight is pretty low (about 700 somewhat grams). On of the big advantages I see in this legendary outdoors cooker is the flexibility. Not only does it come with 2 pots and an additional teapot. It also has a frying pan that enables you to create delicious egg scramble or even pancakes. The downside is that in some countries it´s a little difficult to recharge your supplies of ethyl alcohol. But this can nowadays be avoided if you get gas burners as an add on. Usage of the cooker is pretty easy, however throwing off the blower with its cover requires a little training and is an entertaining contest with your fellow travelers.